OK, talk about a trip down memory lane - I'm taking that trip this weekend. I recently purchased a 3 pack of Lomography Color Negative 200 Tiger 110 film. Yes sir, 110. Got the film from the Film Photography Project store. I hadn't shot that sized film since I was a kid & young adult. Well, over the past year I've picked up a few 110 cameras at Goodwill. 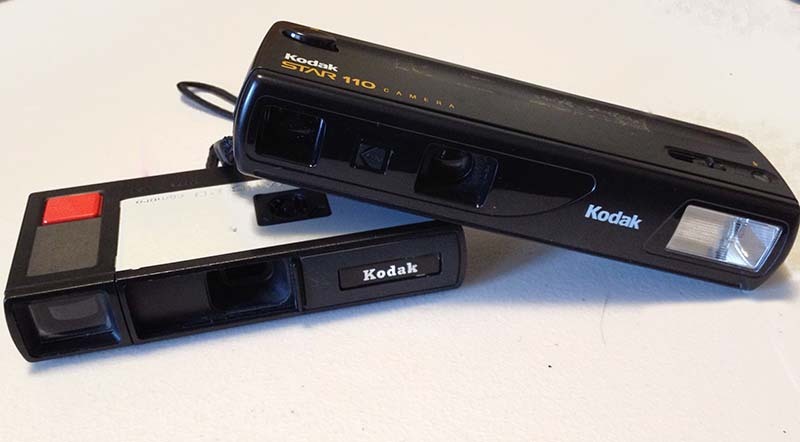 Two that I'm shooting this weekend are a Kodak Star 110 camera, and a Kodak Pocket Instamatic 20 camera. Both are point & shoot goodness. We'll see how these go! When I get the film back from being ultimately processed I'll write a separate blog post on each.